Anyone remember the TV show Ghostwriter? Anyone? 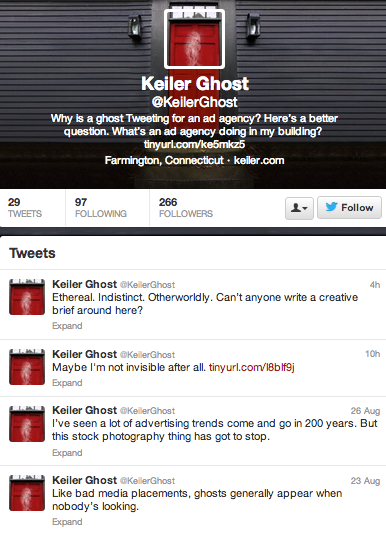 Well Keiler, an agency in Connecticut, has gone to ghostwriting and created a Twitter account that is 'written' by a ghost who apparently haunts their offices (which includes an old farm house from the 1700s). A creative, simple way, with a side of kitsch, to get your local agency's name out there.